Troll dolls have been a rage for a long time. Since they don't have moving pieces, there is really nothing that can go wrong with them (except premature baldness). 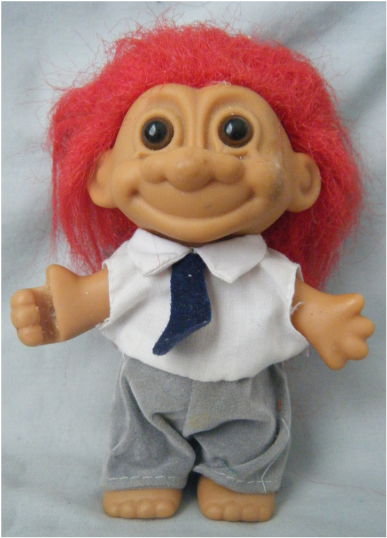 Here are some short snippets about my family and troll dolls. 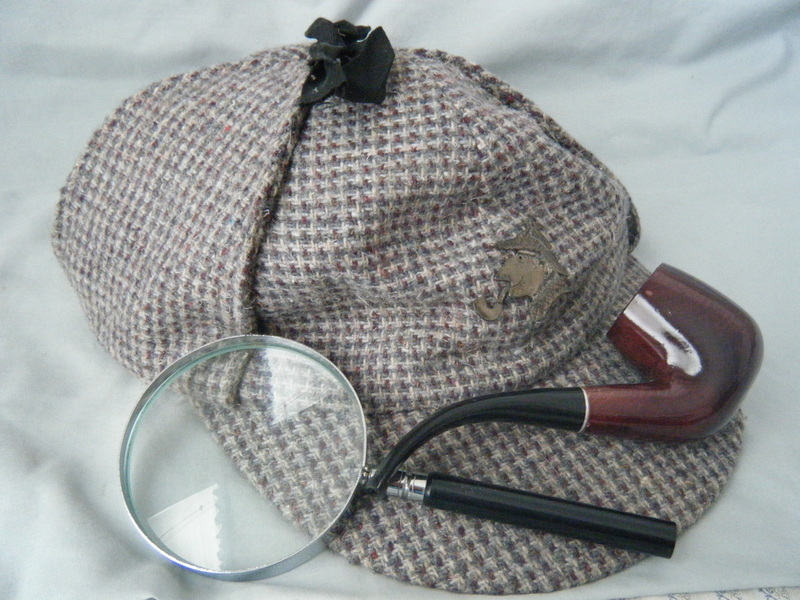 Here is some of my Holmes paraphernalia: a deer stalker hat, magnifying glass, pipe, and Sleuth pin. Not shown is "Deduct" a duck headed walking cane with a secret compartment holding a vial. Sherlock Trollmes was called into action to perform in a diorama when my youngest son had to do a book report in elementary school. His report was on "Fablehaven" (by Brandon Mull) and he desperately needed a figure to play the witch Muriel Taggert. Sherlock was stripped down and then swaddled in black fabric. His hair was messed up, a knotted rope replaced the magnifying glass, and presto, change-o he became a witch. 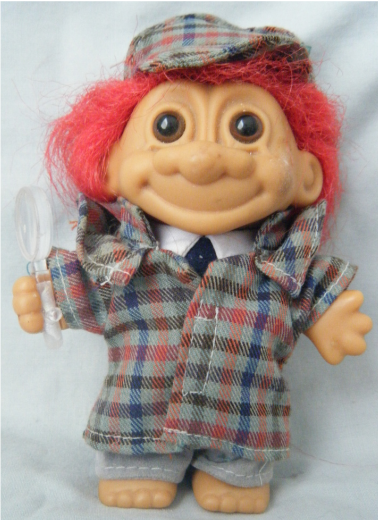 I've since restored my troll to his original appearance.